Mango milkshake is one of the many delicious Indian vegetarian recipes (and easy Indian recipes) that’s great for the summer months. Here is one of the many easy Indian recipes that we’ll show you how to make. 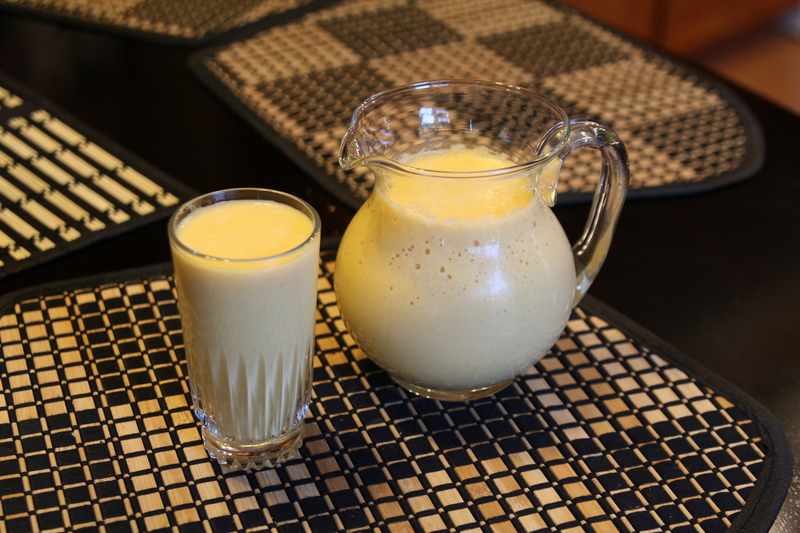 Mango Milkshake is a recipe that everyone will enjoy. This recipes is especially good for the hot summer months. Then, cut the mangoes into pieces and remove the mango pits. Add everything to the blender. Liquefy mix until completely liquid. It is really just that simple! This recipe is super quick and easy to make. If you would like, you can make it healthier by using 2 percent or fat free milk. We personally recommend whole milk, but that is just an option you can try if you want to be healthier. Also, the sugar is optional for this recipe. If your mangoes are not very sweet, it is probably a good idea to add some sugar but otherwise it is not necessary. We hope you enjoyed this recipe, please check out some of our other Indian vegetarian recipes.